I've only had four basic designs over the years. These cards were graciously provided by our next door neighbor, Dan Kruse, who owned a printing business. The Little Print Shop made a similar card using what appears to be the same stock graphics. 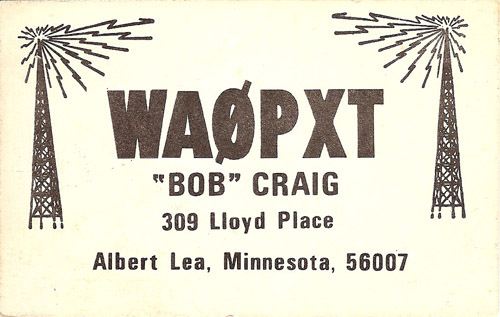 These are cards I produced when I started seriously DXing in the 1980's. 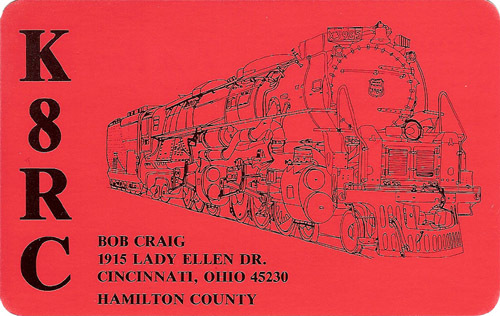 The image is a line drawing of Union Pacific locomotive 3985, the largest steam engine still operating in the world. I took the picture as a Kodachrome® slide on one of the steam excursions I attended. I produced the line drawing by projecting the slide onto a large sheet of paper and tracing the main outline and features by hand. This is the only "generic" card I have ever had. 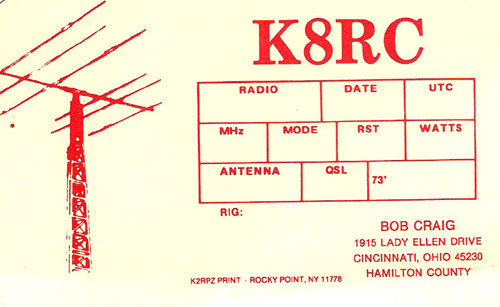 They were used to answer buro QSLs. This is what you'll receive if you want a card from me today. The image is not my castle, it is the Mt. Airy water tower which is 6/10ths of a mile east of my QTH. 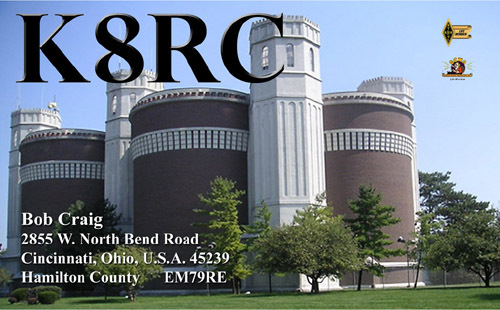 The water tower is the highest point in Hamilton County, Ohio and my QTH is only 20 ft. lower in elevation.